FRIDAY, Aug. 17, 2018 -- Electronic cigarette (e-cigarette) vapor condensate (ECVC) is significantly more toxic to alveolar macrophages than e-cigarette liquid (ECL), according to a study published online Aug. 13 in Thorax. Aaron Scott, Ph.D., from the University of Birmingham in the United Kingdom, and colleagues compared the effect of unvaped ECL to ECVC on alveolar macrophage function. Alveolar macrophages were treated with ECVC and nicotine-free ECVC (nfECVC). The researchers observed a dose-dependent reduction in cell viability in macrophage culture with ECL or ECVC. Compared with ECL, ECVC was cytotoxic at lower concentrations, and resulted in increased apoptosis and necrosis. Less cytotoxicity and apoptosis resulted from nfECVC. There was an approximately 50-fold increase in reactive oxygen species production, and a significant inhibition of phagocytosis with exposure of alveolar macrophages to a sublethal 0.5 percent ECVC/nfECVC. The effects of ECVC/nfECVC on macrophage viability were partially inhibited by pan and class one isoform phosphoinositide 3 kinase inhibitors. Following ECVC challenge, there was a significant increase in secretion of interleukin 6, tumor necrosis factor α, CXCL-8, monocyte chemoattractant protein 1, and matrix metalloproteinase 9. After treatment with the antioxidant N-acetyl-cysteine, the cytotoxic effects of ECVC/nfECVC were ameliorated to levels not significantly different from baseline, and phagocytic function was restored. 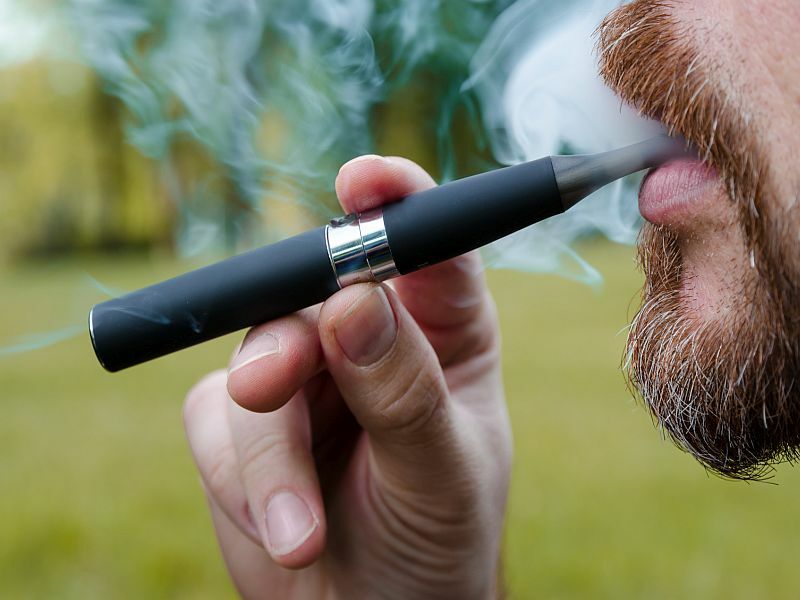 "While further research is needed to fully understand the effects of e-cigarette exposure in humans in vivo, we caution against the widely held opinion that e-cigarettes are safe," the authors write.